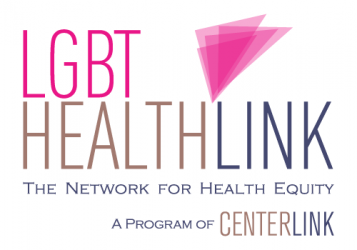 Happy Holiday #LGBTWellness News to All! A large study of healthcare providers found that many (81.7%) reported themselves as familiar with health needs of gay, lesbian, and bisexual patients, while fewer (68.3%) said the same about transgender patients. Despite self-reporting such knowledge, however, the majority of providers said that they rarely or never spoke to patients about their sexual orientation or gender identity – many because they do not think it is relevant to care. A new study examined knowledge of PrEP, the HIV prevention treatment, among deaf men who identify as queer, gay, or bisexual. It found that men who discussed LGBT issues online and on social media were 3.12 times more likely to believe that PrEP was effective at preventing HIV, demonstrating the role that online communities can play in HIV prevention for GBQ deaf men. ABC News reported on the dangers of conversion therapy, sharing the story of a survivor of the discredited practice. The interviewee shared how he sought out a conversion program while in college, and that it taught him to bury his feelings away as unnatural. Today, the man is part of an affirming church that says there is no legitimate basis to conversion therapy. Researchers examined data from 23 states to see how the number of adverse childhood experiences varied among different demographic groups. They found that lesbian and gay adults were more likely than heterosexual adults to have had such adverse experiences during their childhoods – and that bisexual adults were at even higher risk. There were also racial and socioeconomic disparities. US News reported on the stress that “coming out” can entail for LGBT and questioning teens, and how parents and other adults can help them to manage it. Their tips including pushing back when they see anti-LGBT treatment or jokes, helping youth find appropriate mental health care, and finding an affirming community space. The CDC marked Lung Cancer Awareness Month with a series of new resources and publicity materials, including tips for providers to help their patients and also guides for communities to help reduce their populations’ lung cancer risk. Lung cancer is especially relevant for LGBT folks, who unfortunately smoke at an approximately 50% higher rate than non-LGBT people.